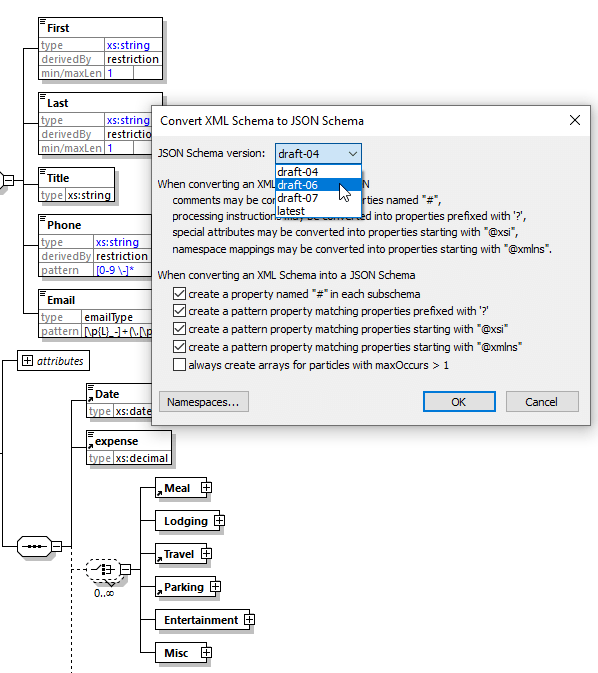 XMLSpy: JSON Schema draft-06 and -07 support is available for validating, generating, and editing JSON and JSON Schema documents. 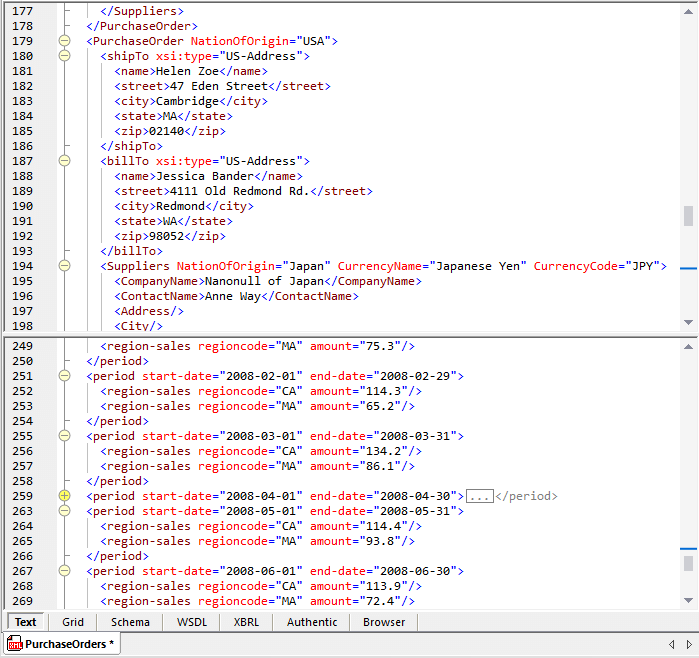 Developers can even generate a JSON Schema based on an existing XSD. MapForce: Support for the new JSON Schema versions is available for mapping JSON data to or from other formats including XML, databases, EDI, Excel, and more. RaptorXML Server: Support for ultra-fast validation of JSON and JSON Schema documents using Altova’s high-performance validation and processing server software has been updated to include JSON Schema draft-06 and draft-07. The XMLSpy text view remains popular for editing not just XML, but XSLT, XQuery, HTML, CSS, and JSON, as well. Developers now have a new option to split the editing window horizontally or vertically to work with different sections of a single document at once. This is especially helpful for larger documents, where it’s often helpful to see multiple portions of the document at the same time. Joining XMLSpy and UModel, which were previously updated with sharp new UIs, MapForce now also takes full advantage of the higher resolution offered by high pixel density (HiDPI, high-PPI) displays to render all graphics with more precision and detail, making complex data mapping projects vivid and easier to read. Handling of REST Web service errors (adds to support for handling SOAP WS errors) – Sometimes an error message returned by a REST Web service is for an issue that doesn’t adversely affect the outcome of the mapping. For these cases, MapForce now includes multiple options for reacting to HTTP error messages instead of simply aborting the mapping. 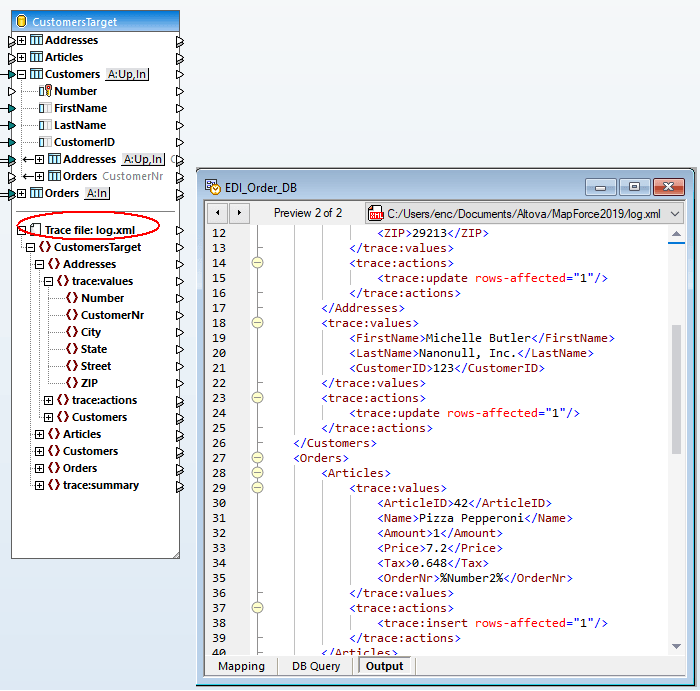 Database output logging (tracing) – When tracing is on, events such as database insert or update actions, or errors, are logged in an XML file that you can later analyze or process further.The ability to log database changes provides even more control for mapping designers to refine data processing definitions and/or report issues to stakeholders managing the source of the mapping data. Transaction roll back for error handling – Sometimes an error occurs that doesn’t prevent the rest of a data mapping from continuing, such as when certain database constraints prevent the mapping from inserting or updating invalid data. For these instances, MapForce now includes highly-configurable database transaction handling to roll back the affected part of the database data when an error is thrown and optionally proceed with the rest of the mapping. DiffDog Server, Altova’s high-performance differencing engine, has also been enhanced with new database functionality. Like the DiffDog desktop comparison tool, DiffDog Server now supports all major relational databases for comparing database structure and/or content. Head to the Altova Download Page to update to the latest version, or try any product free for 30 days.